This week a guest lecturer, John Harrison, was covering for Ryan Locke. He gave some feedback which I found valuable. He suggested there should be more weight and impact on down steps to add bulk to the character. The robot may be small but he is made of metal and would be reasonably heavy. I was also given the suggestion to exaggerate the double take and hold pause longer. John also mentioned the footwork where the character turns to face the button before walking towards it. There is something not quite right about it and if you look at the previous playblast you’ll see how the inner foot has to spin on the spot as the outer foot takes the step around. With this latest playblast I’ve attempted to correct this along with the other feedback. I’ve now made the inner foot lead on the turn which makes more sense as it was the outer foot that made the last step. Doing this has changed the way the body rotates and this has actually improved the way he turns. It looks a lot more natural now even if it took a long time to correct. 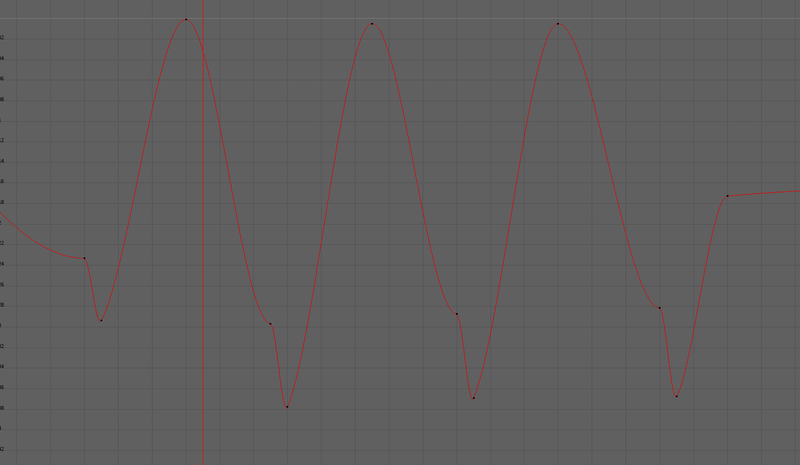 I used the graph editor to move the timeline of the steps forward (but pulling the translation back to match), re-keyed the animation at the beginning and at the end of the cycle, while also moving the arm swings and body rotations to match the new walk. I’ve also added more weight to the down step. Again I used the graph editor to achieve this. It’s not quite perfect yet but its definitely an improvement. I also made the head turn double take more noticeable by increasing the time he pauses on looking at the button, as well as increasing the rotation in both directions, both looking at the button and looking forward as he registers what he saw. I’ve also added in another action/re-action when the robot character walks up to the button. I added in a head turn of curiosity, I was inspired by how Pixar’s Wall-E character reacts to new things he finds. And finally I finished up animating his reaction to the wall falling over, its a simple jump of shock but I think it works effectively. I’m considering this animation to be complete for now, I will evaluate this fully in a future blog post.